Joel Harris of "Fairy tale of the uncle Rimus"
Gerald Darrell "The speaking parcel"
Natalya Shcherba "Chasodei. Hour heart"
Natalya Shcherba "Chasodei. Hour key"
It is difficult to find the person who at least did not overhear about adventures of the Brother Krolik and the Brother Lis, and the phrase "only do not throw me into a thorny bush" became winged for a long time. 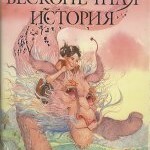 Fascinating stories about adventures of forest inhabitants are collected in the book "Fairy Tales of the Uncle Rimus" of the American writer Joel Harris. To most of readers the English zoologist and the writer Gerald Darrell is known thanks to the books about animals and to autobiographical works. And after all its feather possesses also fascinating fantastic story "Speaking Parcel". "Chasode. 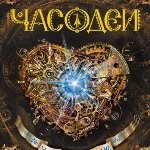 Hour heart" Natalya Shcherby — the second book from a series about hour magic. And again plunge into the world full of magic, adventures and complex challenges which the girl Vasilisa should face again. "Chasode. 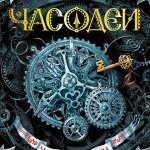 The hour key" Natalya Shcherby — is the first book from the fantastic series telling about hour magic which occurs not somewhere in the Universe, and near us — on Earth. 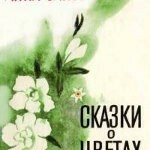 More than a half of the century back the Latvian writer Anna Saks wrote down some small stories for children which it united in one book "Tales of Flowers". The idea of creation of these wonderful kind fairy tales appeared at the writer during her walk on the wood. Learn, than subdued these fairy tales of heart of young readers. The German writer Michael Ende is known to the domestic reader generally as the author of "Infinite history". But it has both other kind and wise fantastic stories which are noteworthy. 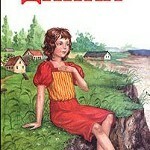 One of them — is the story fairy tale "Momo". "The infinite history" of the German writer Michael Ende — is the book on which thousands of children grew up. And many children and adults for certain saw its screen version, but never read the primary source. Why not to make it? Tove Jansson "Hat of the wizard"
On kind and clever books of the famous writer Tove Jansson not one generation of children grew. 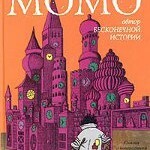 It is difficult to find the person who would never hear about mumi-trolls — amusing heroes of its books. 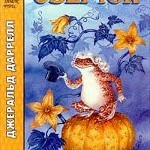 One of the most popular books about these lovely beings — "A hat of the wizard". 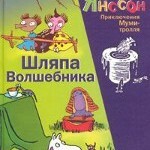 Valentina Oseeva "Dinka says goodbye to the childhood"
"Dinka says goodbye to the childhood" — this continuation of the known children's story of Valentina Oseeva of "Dink". The main character matured, but remained same kind and direct. There are two signs of the good children's book: it remains actual eventually, and it with pleasure is read by both children, and adults. 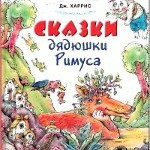 "Dinka" of Valentina Oseeva answers both criteria and remains the favourite children's book not of one generation of readers.